You may think your car’s exhaust system is designed only to reduce noise, but it is also responsible for reducing harmful emissions from entering the atmosphere.- Properly functioning mufflers and exhaust systems not only sound better, they are better – for you, your car, and the environment. 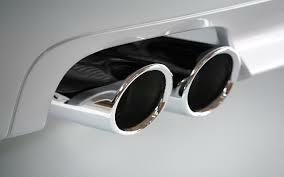 Your exhaust system really starts at the front of your car, right behind your engine. Exhaust manifolds connect to the cylinder heads, where they collect exhaust gases. As the gases move through the exhaust system, they're first analyzed by oxygen sensors, then refined by the catalytic converter and, finally, muffled by the muffler.